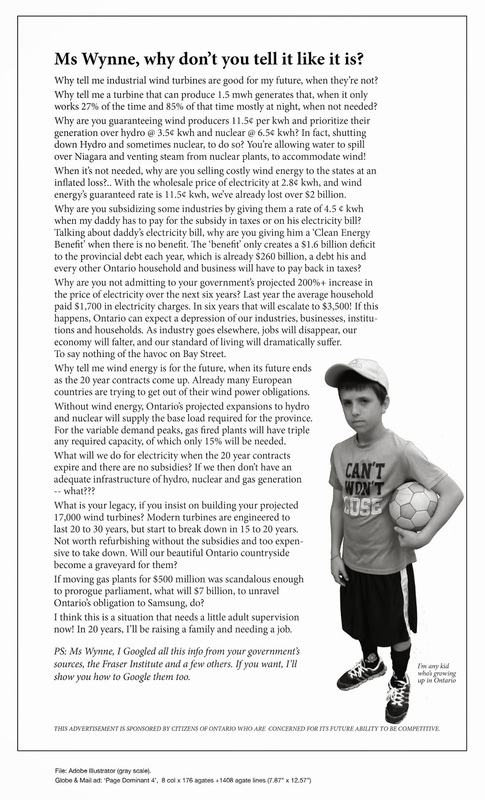 Small Change for Big Burden | Mothers Against Wind Turbines Inc.
Do not be surprised if the residents of West Lincoln are not ecstatic about receiving $9.2M. Sure, it sounds like a lot of money, but remember it is paid in yearly installments of only $460,000. It will take 20 years before the money is all in. When you consider that 44 turbines will be installed, for which the wind proponent expects to make 1M a year, which means $880,000,000 in 20 years, and the lease land owners expect receive a yearly installment of $50,000 for each turbine, equaling $1M, it sort of makes 9.2M paid to West Lincoln small change for the imposition of this project on our community. Previous PostChildren of Ireland Tommy the Turbine is a fairy tale.Next PostThe Fight Continues as WAIT-PW heads to Court.